The bank heist goes down as before, but now we have more of a sense of why Affleck would be impressed/intrigued that she pressed the alarm: it reversed his expectation. Rather than angering him like it should have, it intrigued him. Now let’s pick up at the beginning of Act 2, when they realize she might be a problem, Affleck tells the gang the plan: He knows that if she’s cooperating with the FBI then they’ll visit her frequently, so he’ll spy on her to see if that happens. The gang make fun of him and say he just wants to looks at a pretty girl all day. He’s genuinely insulted—he says that this toonie came to Charlestown for the cheap rents, but he’s sure that she flees first thing in the morning to go sip latees with her Radcliffe buddies uptown and complains about the goons she has to live next to. That’s hardly the kind of girl he’s attracted to. He follows her. Instead of heading uptown in the morning, she heads to the dry community ice rink, reversing his expectation and impressing him. He sees that she volunteers to teach skating to the kids while they all wear roller blades. (This is an actual plot point from later in the movie, I’m just moving it up where it can do more heavy lifting.) While he’s spying on her, one of the kids who has gone to pee sees Affleck in the shadows and recognizes him, the local hockey legend. The kid calls the other kids over and they drag Affleck out on the dry rink. They point out to their teacher what a hero this guy is—made it to the NHL but came back to the Town. She asks if he’ll show the kids some NHL tips. He can’t say no to these kids, so he reluctantly puts on some skates and does so. Seeing him through the eyes of the idolizing kids, she is instantly attracted to him. As they unlace afterwards, she asks him about his career, still seeming impressed. Afraid that she’ll ask around about him, he tries to shoot her down and deflate her interest by barking that he’s nobody—just another townie who blew his future on oxy and coke, with a dad in jail and a mom.... He stops himself, he’s said too much… Things get quiet. He can’t get his skates off fast enough. She asks about his mom. He finally gets the skates off and leaves, muttering that that’s none of her business. Feeling stupid, Affleck shamefully reports back about his close call to Renner. Renner tells Affleck that he’s an idiot. She had reached out to him—that was his chance to give her some “friendly” advice about her attack. (He could say that he recognized her picture from the news) Instead, Renner is going to have to take care of it his way… (killing her). They have another job coming up and they can’t have any old loose ends in the way. Affleck says he’ll take another shot and he promises to get it out of the way so they can do the next job. Affleck realizes that he’ll have to “bump into her” but he only has one chance to do so: he has to go to the bank. He waits in her teller line, but pretends to try to get away when she sees that it’s him. She stops him and apologizes for the other day. He says no, he should apologize and insists on buying her lunch on her break. On her break, things are still awkward, but Affleck realizes that he quickest way to re-establish intimacy is to start off by answering her dangling question. He tells her about the morning his mom left when he was six. She is moved and doesn’t know what to say. Taking advantage of her silence to change topics, he tells her that as soon as he saw her in the bank he realized that he recognized her from the 6 o’clock news: she was the one who got taken hostage. She reluctantly admits it. He asks how that was and she opens up. Here we have the great dialogue from the movie where he tells her in a very friendly way about how her life would be ruined by coming forward. She takes it to heart. Job done, he gets up to leave, but she says she’d like to see him again. Can she have his number? Reluctantly, he gives it to her and gets out of there. …But that night. Affleck checks his messages and he has two. One from Renner saying the job is on and another from Hall, asking him out. He calls one of them back and says “Yeah, let’s do it.” Which did he choose? He chose the gang. The next day, we hear plan their next heist together. But he has less control over the gang because his heart’s not in it, and Renner pushes to make things more violent. Now that he knows Hall, this all sounds worse to him. Maybe he can’t do this anymore… but he let’s Renner bully him into a dangerous plan, which he’ll do in three days. When he comes back, she’s on his steps, wondering why he didn’t call her back. He honestly responds that he’s been wondering the same thing. On their date. He asks what she sees in him. She admits that she lost a brother, just like he lost his mom. They make love. The next morning, Renner shows up unexpectantly, angry to see her there, and we can re-use the dialogue from the great tense cafe scene from the movie, where he has to hide Renner’s tattoo from her that she saw during the robbery. Afterwards, Renner confronts him about this dangerous relationship. Affleck says that this is his last heist, then he wants out. Renner storms out in anger, saying that if Affleck’s head isn’t in this, he’s going to put them all in danger. On his next date, Affleck is feeling better and starts talking more seriously about the future with Hall, but their class differences immediately become obvious, since they have different ideas about what a good future is. She laughs and says that he needs to stop thinking like a Townie. Insulted, he gets his back up and cuts the date short. He recommits to the gang as they prepare for the armored car heist. So that’s it. I tried to make it clearer why the gang would follow him, and why they would be attracted to each other, and why she would trust him. I tried to establish more tension: within Affleck, between Affleck and Hall, and between the relationship and the gang. I still gave them chances to reveal their painful back-stories, but more reluctantly and only after they have a good reason to do so. Above all, I tried to give everybody a little more common sense, but still have them do all the same stuff. In terms of getting them together, I tried to put the burden on the plot, not the dialogue. 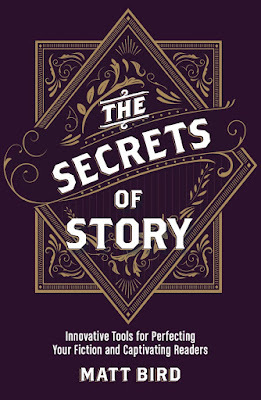 The writer can create situations that force characters together, so that they don’t have to do all the work of coming together through talk alone, which is too much to ask of your characters (or your actors). I don’t mean to cut out the great FBI stuff or the stuff with his dad in prison, that would still be intercut with this, but I would lose the subplot about going after some other guys who threw bottles at her car (and yes, Luke, Blake Lively can go too). That’s the kind of subplot that you only have time for if there’s not enough conflict in the central relationships. I wish I'd seen your version of the movie. Nice job! Btw, have you seen Robert McKee's appreciation of THE TOWN in Script magazine on-line? McKee is mostly focused on the dynamics of Affleck's good-bad guy. I really like the changes you've made here, as they take the time to bother giving Rebecca Hall's character something resembling an inner life, rather than just making her the fragile Madonna to Blake Lively's drunken whore, and some actual meat to her relationship with Affleck. Her complete absence of motivation was one of the movie's weakest points, although I still found the entire thing genuinely enjoyable. 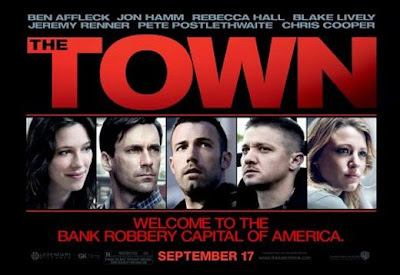 I haven't seen The Town, and one of the reasons is that I've refused to see any more movies with the premise Man Kidnaps a Woman and Then She Falls in Love with Him. This movie isn't that exactly, but it's too close. So, although I appreciate what you're trying to do here--especially because too many movies fail to show WHY two people might be interested in each other--my question is whether trying to make an essentially predatory relationship better makes the movie better. I don't know how the movie ends, but, to me, any hint of I'm So Glad He Preyed Upon ME would be gorge-rising. Is making the relationship more real, more like it seems it could be a good relationship, leading us up to the point where the female lead, upon learning the truth, has no choice but to give in to her rage and completely destroy him? (I mean, there's a reason that most people have those urges when they are experiencing divorce.) Or is it the artier kind of movie where he succeeds in destroying her bit by bit? I don't think that this movie can satisfyingly end with any kind of middle ground. Thanks, guys, this was a lot of fun! Anon #1, I read through McKee's bombastic prose just for you. I would dispute his claim that the ending feels like justice, but I don't place as much value on that as he does, so I didn't mind it. I don't mind unjust endings as long as they don't have a "stand up and cheer" tone, which this one didn't. Anon #3, yeah, it sounds like this movie would probably get your gorge up, even if they shot it with my changes. I really like the changes you've made here, as they take the time to bother giving Rebecca Hall's character something resembling an inner life, rather than just making her the fragile Madonna to Blake Lively's drunken whore, and some actual meat to her relationship with Affleck.